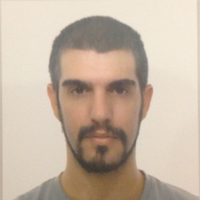 Javier Vazquez Vidal, AKA Bi0H4z4rD, is a hardware security specialist. He has been involved in several reversing projects that go from a simple IP camera to the well known PS3. He has worked for Airbus Military among other companies. He studied Electromechanics and Telecommunications, developing a passion for electronics and technology since his youth. At this time, he will be presenting his first public work, the ECU tool. arsenal | Dude, WTF in my car?